This pattern was created in collaboration with @MyDressMade. For this model, a video tutorial is available on YouTube. Play with the shoulder yoke by mixing materials or details of bias and piping. 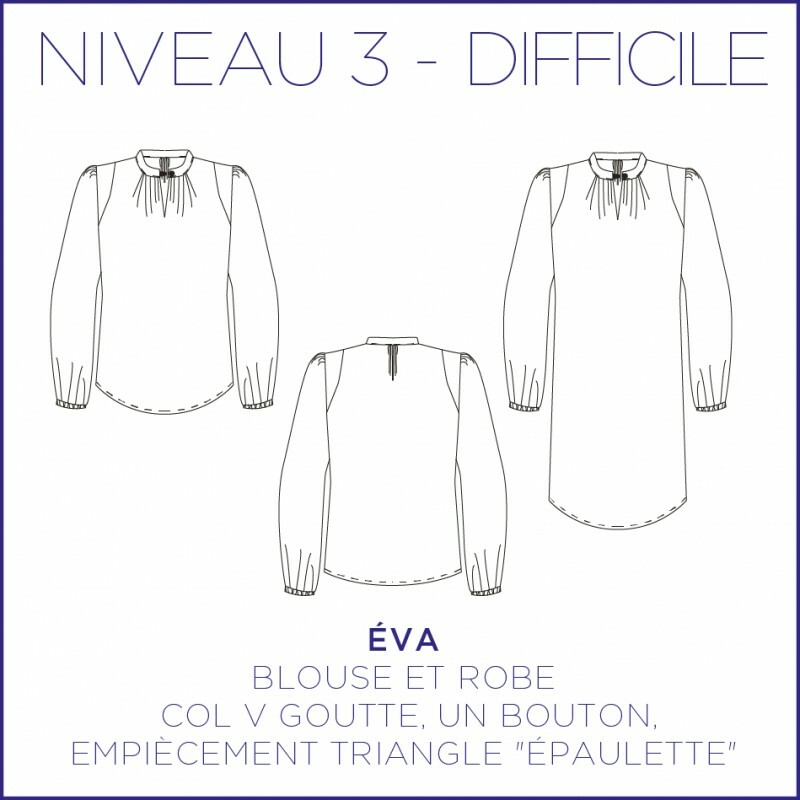 The neckline is very feminine with its gathers and its drop completed by a small right collar. Its sleeves are long with slight gathers at the head of sleeve, the bottom of sleeve is elasticated. On the dress, you have invisible pockets taken in the side seams. 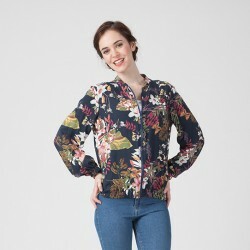 Fluid materials are ideal for this model such as crepe, silk, poplin or batiste. Raise the yoke with lace, a past or a contrast of material. The dress version was made in a viscose blue night from Tissus Bennytex. The blouse version was made in a lace from Sacrés Coupons. Laura O. 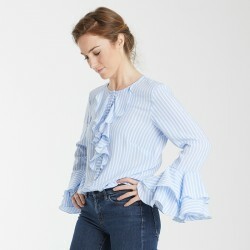 On 2019-01-30 blouse vraiment superbe. je l'ai faite dans un liberty très colorée, c'est une pure merveille.